DONNA — On the morning of June 20, Donna High athletic coordinator Ramiro Leal and other district staffers were told to report to work two to three hours later than usual. An abnormal amount of rain had fallen in parts of Brooks and Cameron counties earlier that week, but now the series of weather systems was setting its sights on Hidalgo County. Leal walked through the water-filled hallway that led to his office, adjacent to the school’s gymnasium. His office had 2 inches of water inside, forcing Leal to transport some furniture and boxes to higher ground. Seven weeks later, evidence of water remains. The bottom of Leal’s bookcase has a clear watermark. Several floor tiles in the hallway leading to the gym were loosened by the floodwater and have since been removed, but not replaced. Water seeped underneath the gym’s wooden floors, but the damage was not as extensive as once thought. The court held firm for Donna High volleyball, which took three of four games from Edinburg Vela in Tuesday’s season opening victory. 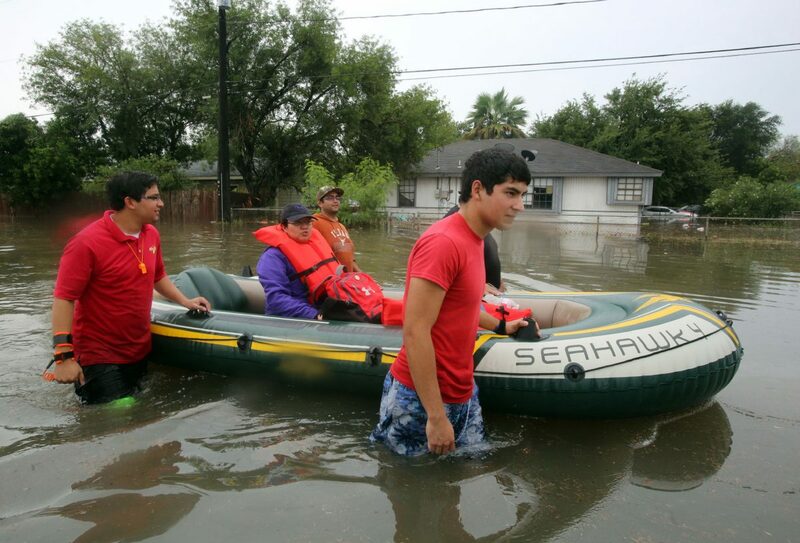 Additionally, Weslaco was hammered as portions of town endured anywhere from 10 to 15 1/2 inches of rain. At a July 12 board meeting, the Weslaco ISD board of trustees estimated nearly $14 million worth of rain damage to district property. Weslaco High athletic coordinator Michael Salinas said his school’s athletic facilities were spared, by and large. Weslaco East, however, was not. The Weslaco East gymnasium is the athletics facility affected most. The gym held 18 inches of rain and drainage water during the flood, and the floor is still under repair. The Weslaco East volleyball team has been practicing and playing away from its usual floor as the season opened this week. Burget and Riojas said they believe the gym will be ready within a week.